Start playing for your seat to the 10th Anniversary Aussie Millions 2012 at Cake Poker, satellites start from the 1st September and players can buy-in from as low as $0.20. The final satellite tournament has an Aussie Millions prize package worth $16,000, which includes Main Event buy-in plus extra cash for travel and accommodation. 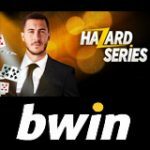 The Aussie Millions Poker Championship is one of the biggest live poker tournaments on the calendar, Cake Poker satellites are open to players from around the world including US Poker players. Here is your chance to travel to Australia and play the Aussie Millions Main Event at the Crown Casino in Melbourne, Get a 110% first deposit bonus up to a maximum $600 at CakePoker. The Aussie Millions takes place at Crown Casino in Melbourne, Australia between the 12 - 30 January 2012, giving online poker players plenty of time to win a prize package to the Main Event. 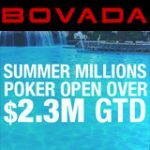 Every year several online poker rooms offer players a chance to win their seat online. 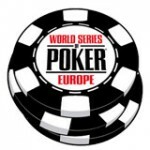 This year we have chosen to promote Cake Poker as one of the best poker sites for players to qualify for the 10th Anniversary Aussie Millions 2012 simply because they accept players from around the World including USA poker players. 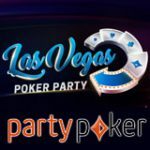 Cake Poker offer the most affordable way to play your way to the Aussie Millions Main Event, starting from the 1st September until 18 December players can enter daily satellite tournaments where they can win a seat to the Aussie Millions Final which takes place the last Sunday of every month. The Aussie Millions Final satellite awards one Aussie Millions prize package per $16,000 in the prize pool. Start playing for your seat today starting from a low buy-in of only $0.20 at CakePoker. Aussie Millions Final Monthly 5pm $250 + $18 One Aussie Millions prize package per $16,000 in the prize pool. Aussie Millions Semi-Final Daily 6am, 2pm, 10pm $27.50 + $2.50 One Aussie Millions Final seat per $268 in the prize pool. 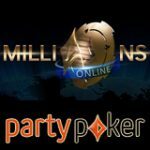 Aussie Millions Satellite Daily Every 4 hours $5 + $0.50 One Aussie Millions Semi-Final seat per $30 in the prize pool. Aussie Millions Super Satellite Daily Every 4 hours $0.90 + $0.10 One Aussie Millions Satellite seat per $5.50 in the prize pool. 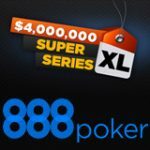 Aussie Millions Super Super Satellite Daily Every 2 hours $0.10 + $0.10 One Aussie Millions Super Satellite seat per $1 in the prize pool. The Aussie Millions Final satellite for December will take place on 18 December 2011. The 2011 Aussie Millions Main Event managed to payout more than $2 million AUD first place prize to David Gorr, a 68 year old Australian player who crushed a field of 721 players and a final table which included poker pros Patrik Antonius and Chris Moorman. This was the third year in a row an Australian player has won the Main Event, so far there have been 9 Aussie Millions Main Event Champions.